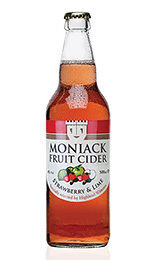 A distinct range of both traditional and real fruit ciders made exclusively to capture consumer demand for real-tasting, full-flavoured refreshing fruit ciders, carefully blended and selected by Highland Wineries. 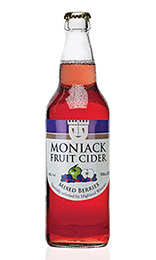 Cider blended with extracts from a number of berries. Succulent and Moreish. ABV 4%. 500ml bottle. A blend of cider, strawberry juice and lime extract. It has a very natural character and the lime carries through to the fi nish. ABV 4%. 500ml bottle. 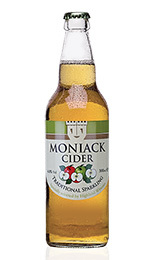 Made from traditional apple varieties, using only the finest freshly pressed apple juice, perfectly balanced, fizzy and deliciously refeshing. ABV 4.8%. 500ml bottle.